To see the original story, click here. Feryal Ali Gauhar, Pakistani actress, filmmaker, writer and human rights activist. She served as a Goodwill Ambassador for the United Nations Population Fund. Her most recent book, set in Afghanistan in 2002, is called No Space for Further Burials. AMY GOODMAN: You know, I wanted to bring in another guest into this discussion. 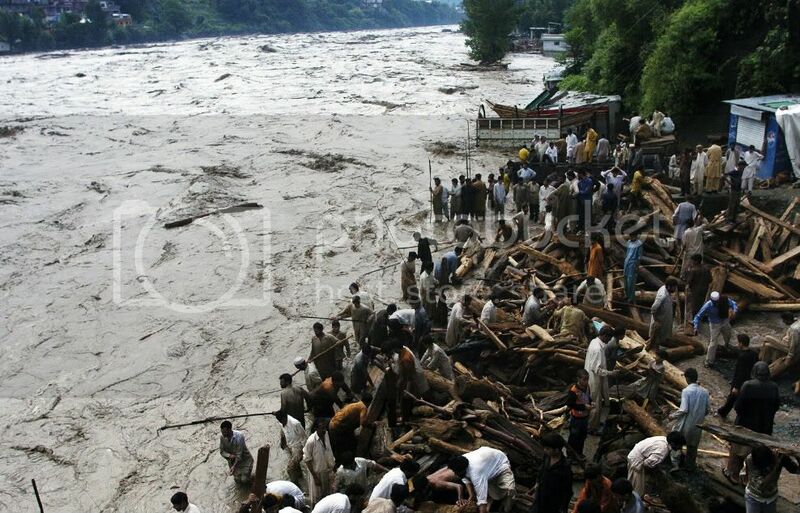 As I was saying earlier, it's been over a month since the floods began in Pakistan. 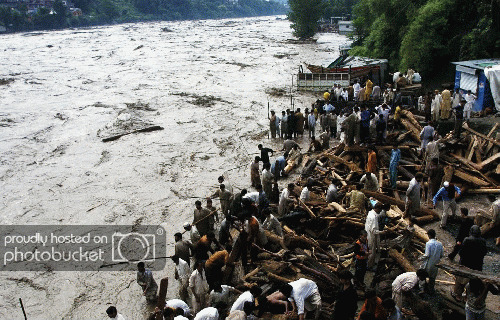 Still, towns, villages remain submerged. Some 21 million people have been displaced from their homes, and the threat of forcing victims to stay outside their villages in camps or alone on roadsides. We're joined right now by someone who has just returned from Pakistan. She has been working in the flood-ravaged areas. Her name is Feryal Ali Gauhar. She's a Pakistani actress, filmmaker, writer, human rights activist. She served as a Goodwill Ambassador for the United Nations Population Fund and is the only UN Goodwill Ambassador who quit over the invasion of Iraq. Her most recent book is set in Afghanistan. It's called No Space for Further Burials. Feryal Ali Gauhar, welcome to Democracy Now! It's interesting to go from Kathy Kelly in Nevada, who's talking about this protest at Creech, where one of the drone programs is based, to your experience of the flooded areas in Pakistan. Can you talk about the connection? FERYAL ALI GAUHAR: Well, yes, there is a very real connection, although that's not the only element that we're concerned about. But it is well known, if not acknowledged by--particularly by the state, that the base for the drones, where they're housed before they are automated, is in Pakistan. The current government has literally gone blue in the face denying that. But I just happened to stumble across a contractor--and that's not the Blackwater contractor--the contractor who built the base, who inadvertently, actually, spoke about it. But he was speaking about it in a different context, and that context was the fact that he was there at the time of the flooding--and, you know, this is the worst catastrophe to have hit any state since apparently biblical times. So, he actually mentioned to me that the River Indus, which is one of the largest rivers in the world, carrying now a volume of water which has not been known in contemporary history, was breached on the left bank deliberately in order to protect the base, which is on the right bank. And the breaching caused, consequentially, the inundation of an entire district, which resulted in the displacement of millions, not thousands, but millions, because we have 170 million people in the country, and this particular district is one of the most densely populated. So, yes, there is a connect between, you know, what is considered to be a natural disaster, but then the management of that disaster is not natural at all. AMY GOODMAN: And this is a base that is used, run by US military, to run its drone attacks? FERYAL ALI GAUHAR: Oh, absolutely. In fact, it is a base where non-US military personnel are not allowed. In fact, the person I was talking who was there, who built the base, actually said to me that one of the reasons why non-US military personnel are not allowed is not just for security of the US military personnel, but because they do not wish to share the technology. They are--you know, we've had a long historical and political tie with the People's Republic of China. And so, there is this fear that was expressed while the contractor was working on the base that the drone technology, you know, should remain specifically in the hands of the US military, and it should not be replicated by any other nation. So there is that protection of the technology itself. It's not just the protection of the personnel. AMY GOODMAN: And this is in Sindh province?